On the Road again…can I travel it again so soon? I have several cousins and a sister, but there is only one left with whom I am in contact with very often. She was three years ahead of me in school. When we were very young, we played together frequently. This blog is not necessarily in chronological order. I can’t remember walking the mile home from grade school with her very often because she moved on to high school after my fifth grade year, but I know we did. My sister graduated to high school when I finished second grade so my cousin took over the job of walking me home safely. One day she tripped and got some cinders in her knee. The whole village was a massive coal area. We could never fall down anywhere without skinning our knees and ending up with black flecks forever embedded in our skin. She kind of limped the last four or so blocks to my house and I took her upstairs to the bathroom. She sat on the landing with her feet on the steps while I washed the injury and applied the Watkins petroleum jelly. Why would I remember that? Because she thanked me and told me I did a good job helping her. I didn’t hear praise in my house. I tended to remember those moments. She was much more a sister to me than my biological sibling. I can remember a few things from our childhood. I was a semi-frequent dinner guest. I believe it was in fourth grade when I was sitting at the table using my spoon as a shovel. My aunt noticed and made the comment, ” Aren’t they teaching you ANY table manners at home?” The truth was that, no, no one was paying much attention to me in any area of my life. I think she was more frustrated with the absence of any parenting but I took it as a failure on my part. I remember feeling my face turn hot and glancing at my cousin who just kind of put her head down. We would play in the living room with my cousin’s toys while her mother played the piano. I used to love to listen to her playing and signing. We played in her bedroom. One day I attempted a summersault and my heel hit her in her chest. It must have been when she was first aware of becoming a woman. She said, ” If I can’t breastfeed my children because of this, I’ll never forgive you.” She clutched her hands to her chest. That was my first lesson in female biology. I had no idea what breastfeeding was about. I never asked her about that when we were older.I carried that guilt and fear that I had permanently injured her for years. She has two sons in their forties. I guess their infancies turned out alright. For the earlier part of my childhood the road ended after her house. There were many wild berry bushes and we would spend many summer hours picking those berries. Eventually the road was constructed through the berry patches and across the ditch to extend it another couple of blocks and new houses were built further down the road and the wild berry picking days were over. 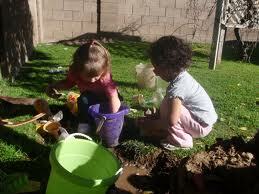 We made mud pies together in her back yard when it rained. Her dad also had berry bushes back there and we would pick the sweetest red raspberries and blackberries and take them into the house. We’d set ourselves down at the table and eat those berries with sugar and whole milk and think we were in heaven. Her mother saw to it that I had a few outings since there was no one at my home all week who would take me anywhere. I remember the sled trip to the park and sliding down the hills. I also remember attending the children’s theater held in the auditorium of the junior high school. 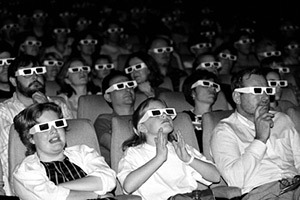 There were 3 D movies and trips to the drive-in complete with sacks of popcorn popped on the stove by my aunt. Her parents gave her a 45 rpm record player and she had at least a couple of Elvis Presley records that we would sit on her bedroom floor and listen to. She began playing clarinet and I would listen to her practice. Her first three years of high school we didn’t really do that much together. Then when I was a freshman and she was a senior, we were both in band and she would provide the transportation to band events. Afterwards we would drive into the south side of Peoria and go to something called a drive-in where we bought a 15c hamburger, 10c French fries, and a 10c coke after the games. Too soon she was off to college out of town. We wrote letters occasionally but seldom saw each other. Then I was off to college too. She married and within a year or so had a son during my final year of college. I visited her once and we sat on the swing of the house she and her husband were living in. We’d see each other at family gatherings maybe a few times a year but at that point we were leading separate lives. She and her husband built their own home while her two boys were still quite young. She was leading her married life and I was the single 70s teacher. Our lives couldn’t have been much further apart. I married, moved away, and wrote once in a while to her father who would relay news between the two of us. The last time I saw her for many years was at a family Thanksgiving when my son was not yet two months old. The two of us took a walk after lunch. 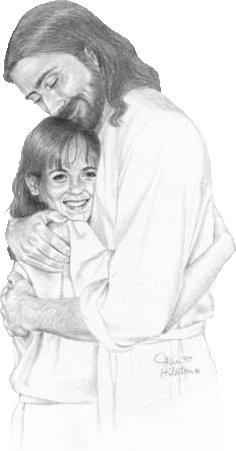 I confessed to her I felt that having my son was the only thing I had done right in the world. I could tell her that because I knew she would understand. I guess it was about fifteen or so years ago when the cousins started to meet every two years for a family reunion. She and I gravitated towards each other once again. The only reason I would go would be to see her. Somewhere along that time line something was developed for mass communication called email. She was reluctant to get a computer but was finally yanked into the end of the 20th century. Long distance rates plummeted to where they were reasonable and at last cell phones. We had ways of communicating now that kept us in touch far more often than before. We became close again. Sometimes I think we are closer now than we have ever been. Some time in the not too distant future that closeness will end. She had breast cancer about three or so years ago and every year was a milestone that it didn’t return. In some people the effects of the chemotherapy and radiation she endured causes an aggressive form of leukemia. She called me a few of days ago to tell me she was going into the hospital and about all the aggressive therapy they had planned for her. She called me last evening. I had planned to give her a couple of days to get into the routine of the hospital stay before I called her but she beat me to it. Her voice sounded more firm and energetic like she had already gotten some energy back. She told me that there was a 40% chance that she could go into remission. I thought that sounded somewhat positive because she had fought so hard during her earlier chemo days. Then she said there would be a 15% chance that it wouldn’t reoccur. It dawned on me suddenly what she was telling me. She said she checked herself back out of the hospital and would be spending the rest of her days with her family. I just walked down this same road with my oldest childhood friend whom I lost in November. It is not going to be easy. I promised I would giver her time with her family before I flew back up to see her and spend time with her. She talked about the peace and calmness that her decision gave her. She’s ready. I’m not. I’ve got to work on that so when I do see her we don’t spend the time crying. I’m hoping she can provide me with some memories I have forgotten. We make each other laugh all the time. 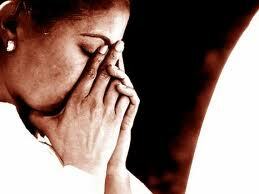 That is my prayer that when I see her we will laugh until we cry one more time. I have just returned from a “Celebration of Life” for a musician who was a major player in our church’s music department. I really didn’t know him. I just knew him through his Sunday and concert performances. We did not know one another beyond occasional “hellos” as we passed. He was one of the first persons I remember seeing the first time I attended a service with this congregation. He was on the platform with his long hair flowing, his jeans, and a mustache and beard…or maybe it was a goatee…I don’t remember now. This was almost six years ago. I saw him talking with some of the other musicians on the platform and some of the men and women in the gathering around him. I had arrived a little early and the service had not yet begun. I suddenly felt like I had entered some kind of time warp, like I was back among the flower children of the 60s. There were sandals on the men, long hair, and tie died shirts. I wondered where the previous forty+ years had gone. At first I felt uncomfortable. After all, this was a house of God. As a child, two of the first things I learned was to wear my “Sunday best” and to read a plaque above the door which said, “This is the House of God. Enter in silence.” That is what you did.You entered, you bowed your head in prayer, you responded at the appropriate time, you sang at the appropriate time, but to talk to a friend? NEVER! Not in God’s house. Yet here he was laughing and talking as he prepared for the service. Everyone quieted down and the service began. All of a sudden I realized I was home again. 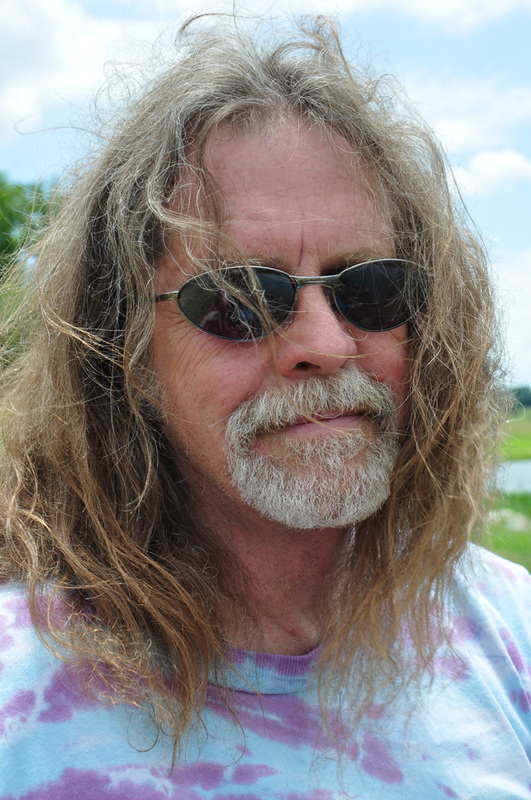 As I looked around the congregation, I realized these “hippies” were not the only ones. There was a wide range of clothing from suits to jeans, T shirts to shirts and ties. The musician was just one of a rainbow of people in that congregation. As a person who has since early childhood felt like the perennial outsider, I realized that the entire congregation was filled with people who probably were perennial outsiders themselves. But here, there was acceptance. Here there was safety to be ourselves. He certainly was the epitome of that idea. There was camaraderie, there was fellowship, there was love. Sunday after Sunday he was there to sing songs about that love and friendship and building bridges. He would take rock and roll songs (my childhood minister would have had apoplexy at the thought) and help the congregation to see the connection between the music and the message. He was a good musician. He had several bands throughout the years, but I don’t think he was ever really much known outside Ft. Worth. But then again, I really didn’t know him. His music reached people’s hearts. As I looked around the church I noticed that it was completely filled downstairs, and there was a good amount of people upstairs in the balcony as well. Music was not his whole life. He was also a teacher. I’m sure many of the people assembled were members of his faculty. Actually, he was struck down at school. He was on the faculty of a special school that deals with behavior problems. There was a fight and he stepped in to break it up. Suddenly he fell, the victim of a brain aneurysm. When he was admitted to the hospital, it was discovered that he had four aneurysms altogether. They could have ruptured at any time but the extra emotion and physical exertion it took to break up the fight was all it took. His body endured a twelve hour operation but it was too much to last much longer. He was taken off life support a couple of days later. He was a simple man, in my opinion. I don’t recall ever seeing him at church in anything other than jeans and a long sleeved shirt or on rock and roll Sunday, a tee shirt. 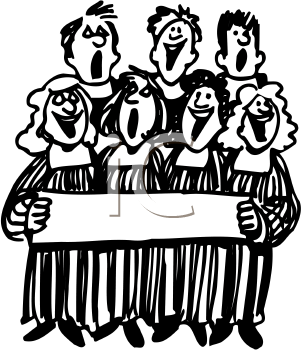 He would sing his heart out with his songs. In September I visited my childhood friend in Chicago. We didn’t do much other than hang around. The first evening of my visit and the next day involved going to the hospital because she was dehydrated. 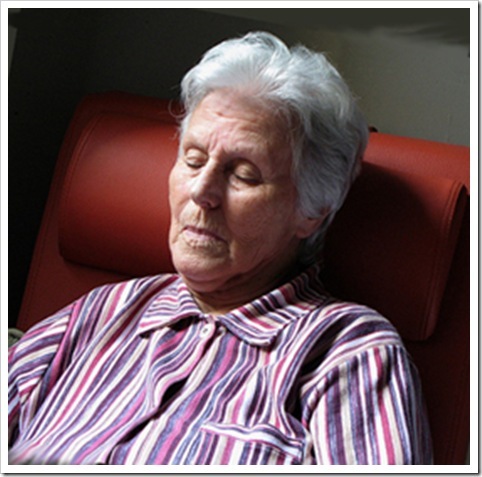 She constantly dealt with nausea, vomiting and dehydration as a result of the chemo. I wrote in my previous blog about the fact that we had planned a safari to Africa and she was determined to go when her body regained some of its strength. That was not to be. I received a call on a Tuesday in November from a mutual friend saying my friend’s colon had perforated and she was taken to the hospital. She was not expected to live more than 48 hours. When I spoke with her sister on Wednesday evening, I was told it was a matter of hours. The doctors, after all this time, still were not fully aware of her willingness to fight. It wasn’t until Sunday afternoon that I was called again by her brother-in-law saying she had passed at 11:55 pm Saturday night…the very time I woke up. Most of the time she was heavily sedated but she did wake occasionally between Tuesday and Saturday. The pain must have been unbearable. I can only imagine the level of morphine needed to relieve it. I was told later that before she drew her last breath her temperature reached 108 degrees from the infection. Her sister wanted her to have the colostomy which would have stalled the inevitable for maybe a couple more months. She declined saying she was ready to face whatever. Saturday morning I received a call from another mutual friend. She has been the primary person to watch over my friend since this all began. She and our friend struck up a friendship more than twenty years ago which lasted throughout this whole ordeal. She surprised me by offering to pay for a plane ticket to Chicago for me to say good bye. My friend had included this other friend in her will because of all the constant companionship and the willingness to care for the dog she took in and adopted. This woman voluntarily drove halfway across Chicago in order to walk the dog on days when my friend was in the hospital or just didn’t have the strength. This friend was willing to share so I could be there. That’s just the kind of person who was drawn into my friend’s life. It was an anguishing decision, but after a couple of hours and a futile attempt to find someone to watch my dog, I called my wise friend Maxine who brought me back to reality. Maxine asked me who I would be serving if I flew to Chicago. She was right. I had already said good bye, my friend was surrounded by relatives, and she was not even very conscious when I received the first call. I returned the call and declined. The flight I would have been able to take would have gotten me to the hospital around 9 PM or later Saturday night. The trip would have not served any purpose other than to share my sorrow with her relatives. I’ve tried so hard over the years to figure out our friendship. We were close in middle school. We drifted apart in high school until we finally had one class together our senior year when we reconnected. We shared the same lab table. She was there for me in high school when I almost broke down in class after my suicide attempt. She just showed up at the door. Her reason had something to do with the school newspaper of which she was editor and I was a columnist. Her timing was perfect. I visited her and we wrote several times throughout college. She was the one I stayed with in her sorority house when I attended the winter formal with my first true love. She was the one who offered me a place to stay when I spent a few months in Washington, DC before I started teaching. I went out there for a few more weeks with my fiance (who by this time had canceled the wedding due to Viet Nam). She was going to be a bridesmaid for me. She moved to Chicago and I to Peoria. We both became involved in our careers and our single lives. We drifted apart again. I married and started my several moves. The one year we were back near Chicago I once again saw her several times. I was able to attend her wedding when my son was one month old. My husband and I were invited to the Chicago Cubs game and dinner party for her 29th birthday three weeks before we moved again to Texas. We once again led separate lives. I got divorced. A couple of years later she mailed me a Christmas card and signed her birth name. I knew what had happened. We reconnected again in the 80s. Over the past 25 years we saw each other every couple of years and talked a few times a year on the phone. When I told her I had to have heart surgery, she didn’t ask if I needed her. She said “I’m coming down,” There was no question with her. She was in my home the day of my release from the hospital and stayed a week before my cousin took over. I explained to someone that, except for my cousin, I am not really close with any relatives. My cousin, Maxene, and this life time friend had formed the legs of my stool that were my support system. I almost felt the ragged sawing of one of those legs throughout all of this. Now I feel wobbly and not as secure. Due to the loss of my mother and aunt in my early childhood, my father, my first fiance, and then my ex, I have not had an easy time opening up to receive any kind of relationship anymore. I feared the pain of losses. There had been so many I felt myself becoming more robotic with each one. Most of the time I have turned myself numb to avoid the pain. This time, I can’t stop feeling it and tears spring to my eyes readily two weeks later if I allow them, but somehow I know in a way it is making me more connected to something rather than cut off. At least I know I’m not a robot this time. Maybe that is good. Maybe I’m getting better. My friend had bought me a Christmas ornament which was found when her family and friends were cleaning out her apartment. It was mailed to me a couple of days ago. 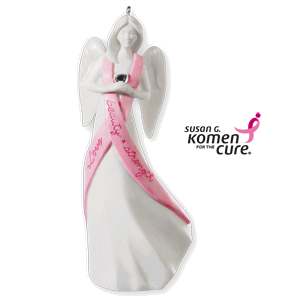 The ornament was a Susan G Komen angel. 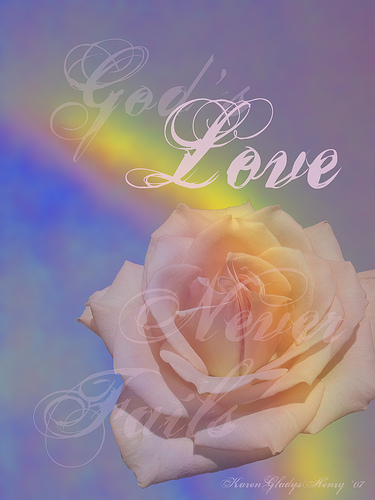 On the pink ribbon are the words Love, Beauty, Strength. Those three words couldn’t sum up my friend any more succinctly. She was a treasure.